Note the two handles: they control all movement. Push the two forward, and the mower goes forward. The further forward, the faster the mower. Push one forward and the mower turns. Pull both backward, and the mower backs up. I’m told that army tanks use these same bars for navigation. This driving design affords a lot of fun for the driver. 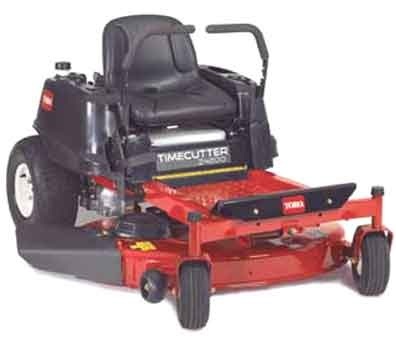 As lawn mowers go, this mower is fast, so fast that sometimes I lose my hat in the rush of oncoming wind; and it turns on a dime, a perfect 180. The term for this maneuver, I believe, is a zero turn. Zero-turn mowers give me the illusion that I am riding a horse–even though I have never sat on a horse except when I was five and my native city, Hoboken NJ, sponsored pony rides for five-year-olds. On the Toro, I feel like I’m on a horse because I can ride toward something and then quickly turn to see what’s behind me while I let the mower modulate between angles, the way Silver does when the Lone Ranger stops and looks backward on a hill. So, I’m speeding through my task, racing through the flat parts of my acreage. Then I move to the side of the house, under the great firs. Here I go more slowly. There are high weeds and steep inclines, but after 30 minutes or so, I’m done. While I’m having all this fun on my gas-driven horse, my wife is cutting grass in front of the house with a push mower. Her task is far greater than mine because she is cutting grass on the same steep incline. It’s all about the legs, and it’s difficult. In this spot, beside the road way, the rider mower is too risky. The spot has to be done by push mower. But I decide that I will ease her burden by going to a spot directly behind the house. We have a back porch, and between that porch and the flat area I have already mowed, there is what we call ‘the shelf’. This is a space about 15′ by 40′. And it stands above the flat area about four feet, with a very sharp decline. This is the area I decide to cut so that she doesn’t have to, and it’s already been cut once this season. The edge is tall with weeds and high grass, so after I get the lawn part managed, I attack the edge, going along it sideways, with my left front and back wheels at the edge. When I realized the front wheels were dangerously perched, I tried to back up. 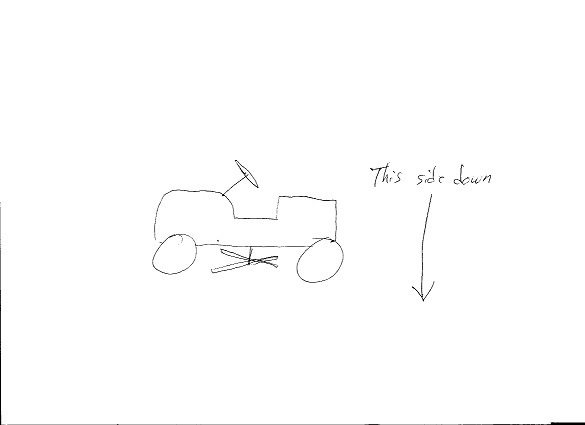 On a zero-turn mower, however, backing up is often like doing a circle in reverse. The back wheel became dangerous. With both wheels too far over, the edge of dirt gave way, and the entire mower went down. Not simply down, but down and over. It all occurred in slow motion. Although I knew I wasn’t about to die, I feared for a normal life. But I was never in very much danger since the blades had an automatic cut-off. And, besides, the blades were well above me. My hands were holding on to the tank bars; thus, my face was the first thing to hit the ground. The mower, perhaps 300 lbs, landed on top of me. I was down, and I could hardly think straight. My eyes were a little foggy. My wife, who btw is a saint for loving such an one as I for 35 years (! ), told me later something very funny. Pushing the hand mower, she saw me on the shelf. She pushed another few feet, looked for me again. and I had vanished. She thought the worst possible scenario (a habit she developed raising our five children) and she was almost right. I was under the mower, blood was pouring out of my forehead and nose, and I was moaning. Two of our sons happened to be home and she called to one of them to summon 911. 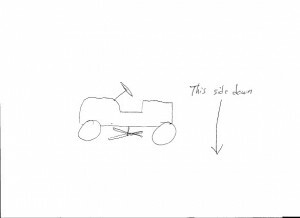 The other son came running, and with the adrenaline one hears about in stories about collapsed houses and accidents during a car tire change, my son managed to lift the mower off of me and on to its four wheels. The other son, having completed his emergency call, came with a wet towel to wipe my face. The boys helped me climb to the shelf and walk to the porch, and we awaited the ambulance with cold compresses on my forehead. I did not have a concussion; the foggy eyes after the fall, I now attribute to the change of what I was viewing. I went from a long distant view of the yard to a close up of blades of grass. It may have been a bit more silvery, but the emergency guys wore an insignia celebrating my small town. Police arrived. Altogether there may have been seven persons in the rescue team, which I don’t think a plurality. The cops–county sheriffs, I think–were there to make sure a crime hadn’t been committed. And the medical emergency folks were there to give aid. One thing I was amused by was the latex gloves. I have watched enough CSIs and NCISs to expect that the medical gloves would be blue or white. 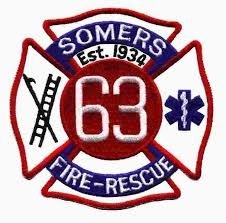 Somers’ people used gloves that were Halloween orange. Orange! How cool is that? In any case, my blood pressure, taken three times between when the medics arrived at my house and when I arrived at the hospital, varied significantly from first to third. My blood sugar was poked several times (I am a diabetic). It altered a little bit between departure and arrival. The ride in the ambulance was strange. My caretaker was very solicitous and kept me occupied and awake, and I was intrigued by all the gadgets and medical aids. But what really surprised me about the ambulance ride was the counter-intuitive feeling of regression that one has. I was being carried forward by the ambulance, but I was looking out the back window. My wife was directly behind us, but I felt strange and dislocated by the roads we passed, all of which I was keenly aware of. I had never seen those houses and stores and gas stations from this angle before. It was unnerving. The sheriff’s men and the medics were, in the final analysis, wonderful, caring, professionals. Except for some bruises and a few scrapes, I’m doing fine. 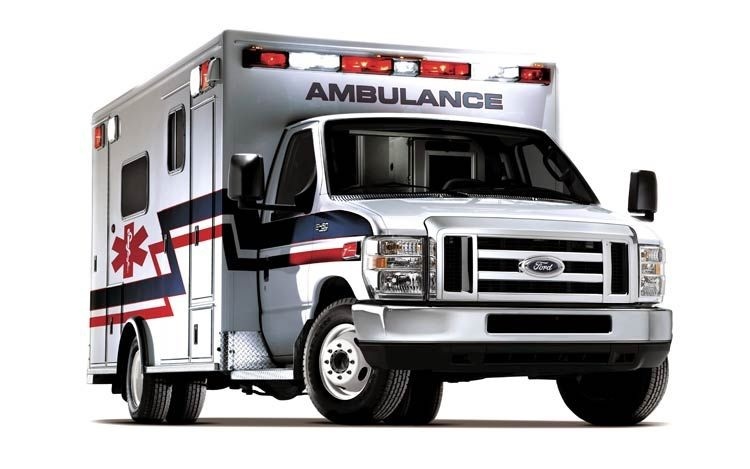 Like a kid and a fire-engine, I feel delighted that I had an ambulance ride without any major debilitations or repercussions.